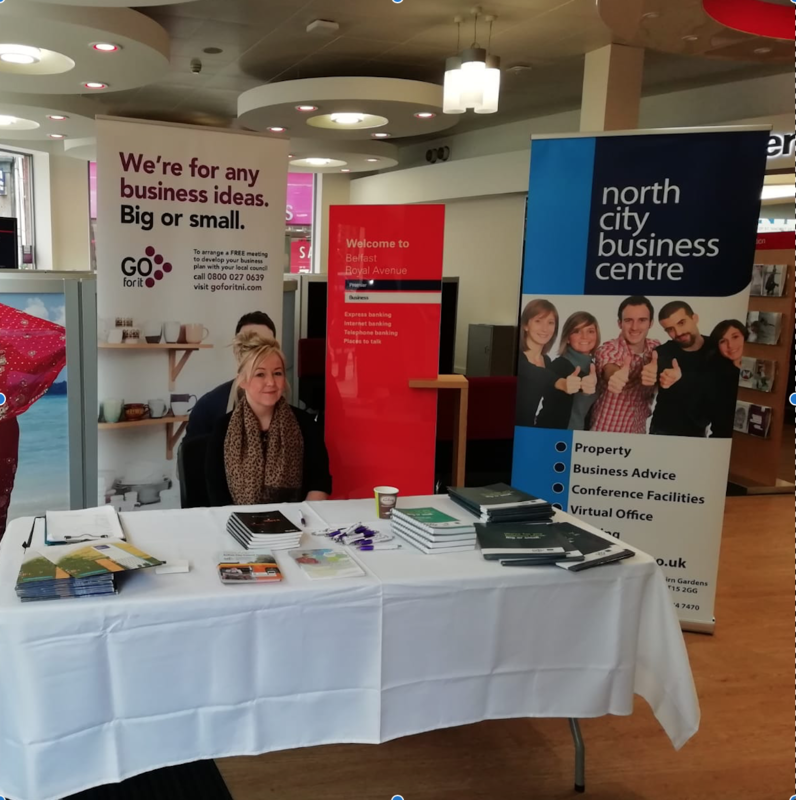 On 29th March, North City Business Centre attended HSBC Bank in Royal Avenue in Belfast as part of the Bank’s Small Business Pop Up Week. Each quarter HSBC invite local businesses to come and showcase their products throughout the HSBC branch network and contact centres. They provide opportunities for businesses to gain new exposure for their brand and to facilitate networking opportunities. Pictured at the event is NCBC’s Finance Manager, Nicola Fisher. Our exhibition stand promoted the company’s services, including business units available for letting, the ‘ Go For It’ and ‘Exploring Enterprise’ Programmes.